Just the other day I shared a post/poll titled “What do Nigerians really want in a Smartphone?” and so far the largest percentage of voters have chosen longer battery life as the most important thing they want in a Smartphone. Another large percentage have chosen good graphics and others are Camera quality, waterproof body, fingerprint-proof scanner etc. In this article I want to review the Infinix Zero Smartphone and highlight the important things you should consider before buying it. The Infinix Zero smartphone is the latest flagship smartphone from Infinix, running on Android 4.4.2 KitKat with a powerful Octa-Core 1.4GHZ processor and 1GB RAM, the Infinix Zero will definitely make a great choice at just N20,000 (Twenty Thousand, Nine Hundred Naira Only). Other notable features include the 13MP rear camera with a BSI sensor and autofocus, a 2MPfront camera, and 5.0” IPS display with a resolution of 720 x 1280 pixels. The Infinix Zero comes in two variants, 8GB Internal Memory and 1GB RAM and 16GB internal memory 2GB RAM. It also has a 32GB expandable memory card slot. 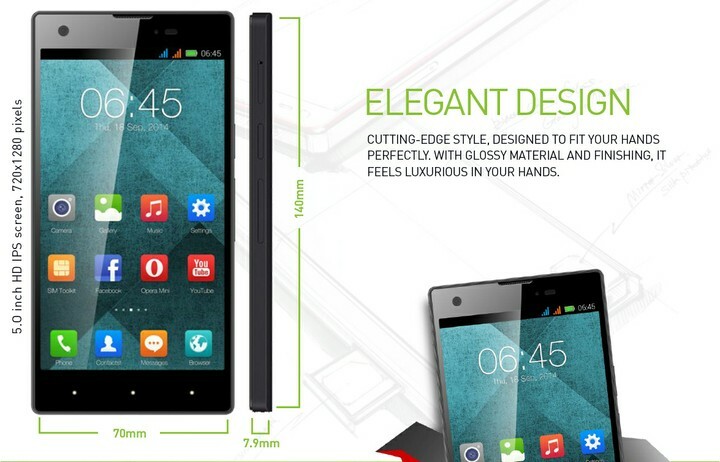 The Infinix Zero is sleek with just 140 x 70 x 7.9mm dimensions and also weighs just 150g. The most notable feature of this smartphone is the hardened Gorilla 3 glass frame with native damage resistance. You don’t have to worry about screen scratches/cracks anymore as the screen can withstand hits against hard surfaces without getting broken. The Infinix Zero smartphone is also loaded with other amazing features such as Bluetooth 4.0, WiFi (802.11 b/g/n), WiFi Hotspot, USB Port, flashlight, video recording, video calling and OTA update support. It’s also got Proximity, Gyro and Hall sensors and is available in variant of colours such as White, Black, Gold, Red, Blue, and Purple. But one important thing you MUST know about the Infinix Zero smartphone is that is has a POOR battery life. The Infinix Zero has a battery capacity of just 1920mAh, which means the battery will always need to be recharged. If you are a Social media addict or just a game lover, I will advise you to buy a powerbank if you are to buy the Infinix Zero smartphone so you don’t run out of power juice during game plays or while surfing the internet. The Infinix Zero is quite affordable. It is currently on pre-order now for just N20,900 on Konga. Should i buy the Infinix Zero? The Infinix Zero smartphone will indeed make a great choice for its price and features. Surely as much as the battery capacity is not as much as we would’ve loved, every battery discharges after all. My only advice to anyone buying this phone will be to get a powerbank along side. The stores can also give away powerbanks as added accessories when someone buys the Infinix Zero Smartphone.